ARMR Moto Back Protector Insert Level 2 - A9116. CE approved back protector insert for ARMR Moto jackets. The product itself in make, design and function appear all fine. It neatly fitted into the slot in the ARMR jacket. Grant yourself that extra piece of mind with an extra layer of armour. The ARMR Level 2 motorcycle back protector is designed to be compatible with all ARMR Moto motorcycle jackets. ARMR Moto Level 2 CE Approved Motorcycle Back Protector. Armr Level 2 Back Protector. Keep yourself safe and protected with this CE certified level 2 back protector from Armr! Designed to fit all Armr Moto Jackets. CE Level 2 Certification. Back Protector Features. 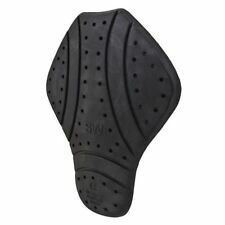 ARMR Moto CE Protector Inserts - Shoulder & Elbow ARMR Moto CE Protector Inserts - Shoulder & Elbow ARMR Moto CE Protector Inserts - Shoulder & Elbow. 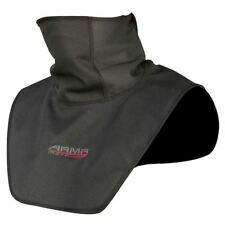 ARMR Moto CE Protector Inserts - Shoulder & Elbow. Grant yourself that extra piece of mind with an extra layer of armour. The ARMR Moto Level 1 motorcycle back protector is designed to be compatible with all ARMR motorcycle jackets. ARMR Moto Level 1 CE Approved Motorcycle Back Protector. CE approved back protector to be used with ARMR Motor jackets and suits. CE approved, level 1 back protector. Feels like it's got the strength of a truck tire! Very very good. A few minutes to install, comfortable once in jacket. CE Level 1 Certification. For more Information on CE Certification TECHNICAL SPECIFICATION. Ending Soon. This applies to all to our products. Light Weight. ARMR Moto Back Protector Insert Level 2 - A9116 - NEW (for Motorcycle jackets). ARMR Moto Back Protector Insert Level 2 - A9116. Brand new, unused, in original packaging. Selling in online stores for £30 . CE approved back protector insert for ARMR Moto Jackets. Designed to fit all ARMR Moto jackets and many other brands Light weight Vent holes for air flow Maximum height 395mm Maximum width 255mm FREE Postage.